"I was so saddened to hear of Mary's passing! 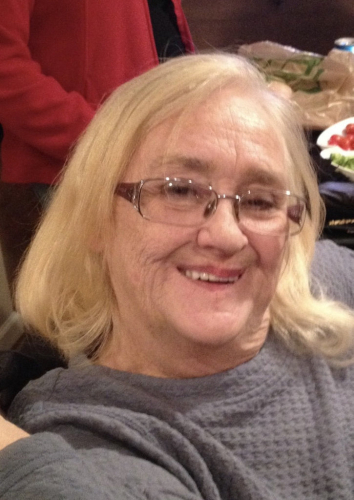 She always..."
"Rest in peace Mary, condolences to your family, so sorry..."
Mary Beth Santerelli, Jessup, and formerly of the Poconos, died Saturday at Carbondale Nursing Home. Born Feb. 2, 1948, daughter of the late Joseph and Elizabeth Fife Mushow, she formerly owned Mary's Diner in Tunkhannock and worked at Mount Airy Lodge. Surviving are her companion, Daniel Scalzi, Jessup; brother, Joseph Mushow; sister, Judy Chindemi and her husband, Paul; brother, Michael Mushow and wife, Linda; and brother, Stanley Mushow and wife, Joann all of Archbald; and several nieces and nephews. She was also preceded in death by a sister, Jeannie Bojarsky, a brother, Albert; and nephew, Joseph Mushow III. The funeral will be Wednesday at 9 a.m. from the Harrison Funeral Home, 374 N. Main St., Archbald, with a Mass at 9:30 in St. Thomas Aquinas Church. Friends may call Tuesday, 4 to 7 p.m.